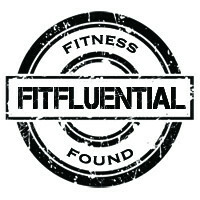 FitFluential is health and fitness organization I have been following for a number of years now. My wife and I have made use of many of their exercise campaigns and recipes for a while now and had great success. So it comes naturally that I would want to be a part of this great organization. I have noticed many of my friends were #Fitfluential ambassadors and I thought this would be perfect for me as well!. There are a number of eligibility requirements listed on their website and I set out on a plan to put myself into a position to make that happen. When I felt that I had sufficiently met the requirements I submitted my application and on March 5th I was very excited to receive my “Your Application has been Approved” email! Well, you will still get them content that you have always loved from me. In addition to what I already post, you get the pleasure of being exposed to new products and services that I will be profiling and giving my opinion on. You will have the chance to find out about some new products that you may not have known about with the added benefit of my opinion. You will see more posts with the #Fitfluential hashtag on my social media channels. You will have more opportunities to get yourself healthier and learn more about your own health and wellness when I let you know about upcoming twitter chats and exercise challenges! I will be posting on my blog more often as I am given opportunities to trial new things and offer my opinion. I will continue to work on growing my social media reach. I will have a lot more support of my health and fitness goals. I will be participating in more of their monthly health and fitness challenges. I will be participating in more of their twitter chats and helping to grow the reach of the fitfluential movement. If you would like more information I encourage you to sign up to be a member here, sing up for their email newsletter, follow fitfluential on all their social media channels, and ask me any questions you like. My goal is to help you guys reach your health and fitness goals so don’t be afraid to ask or join in! By Mike van Mil in Uncategorized on 2015/03/06 .